In my recent trip to London I took a visit to Boxpark, a pop up mall, in Shoreditch (www.boxpark.co.uk). This place is fab. I loved the vibe, food joints and places to shop. It made me think a lot of Edinburgh during the festival where some areas of the city become a mecca for pop-ups and outdoor refreshments. I had researched it a little before we arrived and along with Cottons the rum bar….nom nom nom…. 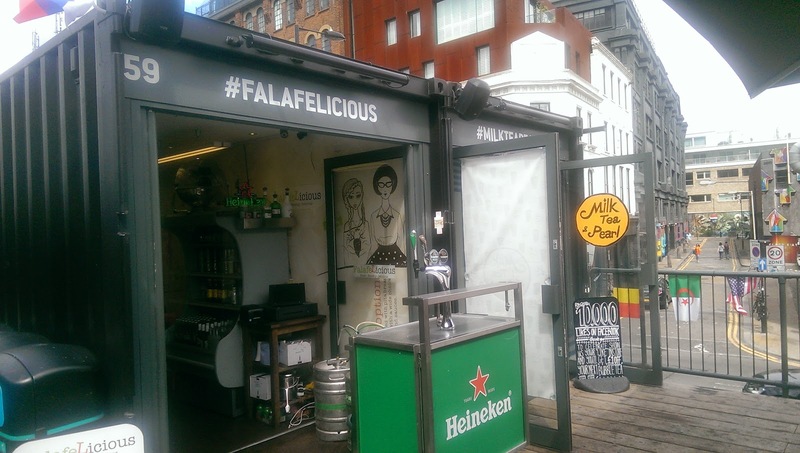 I really wanted to go to Falafelicious. We arrived and were greeted by a massive smile. I explained we were looking for gluten free Falafel and I was told we would not be disappointed. He was not wrong. 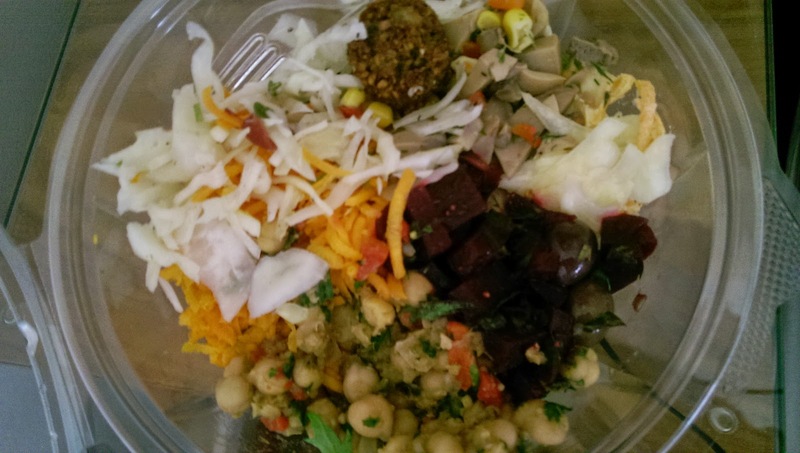 While we waited we chose from a glorious array of freshly made salads to fill our take away box. These were exquisite, I could have happily eaten them by themselves. They were all super healthy, flavoursome and extremely moreish!. My favourites were the chili carrot, white cabbage salad and the chickpeas salad. To be fair all were perfect. The falafel themselves were bite size, slightly crispy on the outside and divine in the middle. 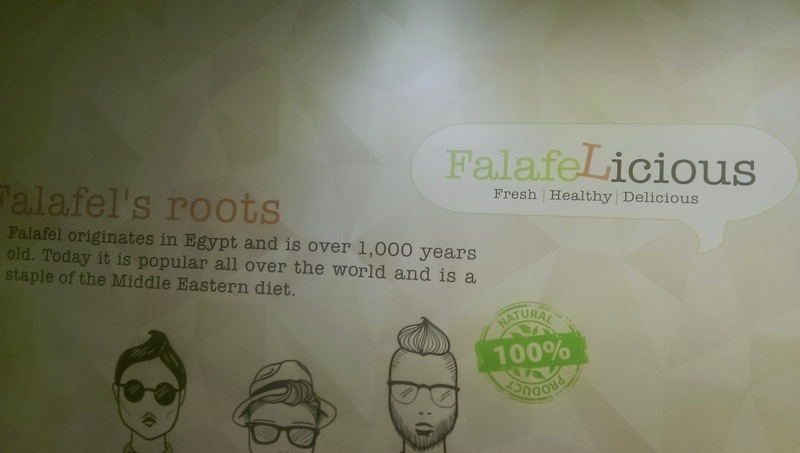 This has to be THE best falafel I have ever tasted. As a family we cook them regularly at home, but this recipe of chickpeas and fava beans was sublime. Without doubt I am giving them a Fifi Friendly 5*. The food is highly recommended and the lovely guys who served us get top marks for customer service. Thank you!! Previous Post Do you know Joomo?